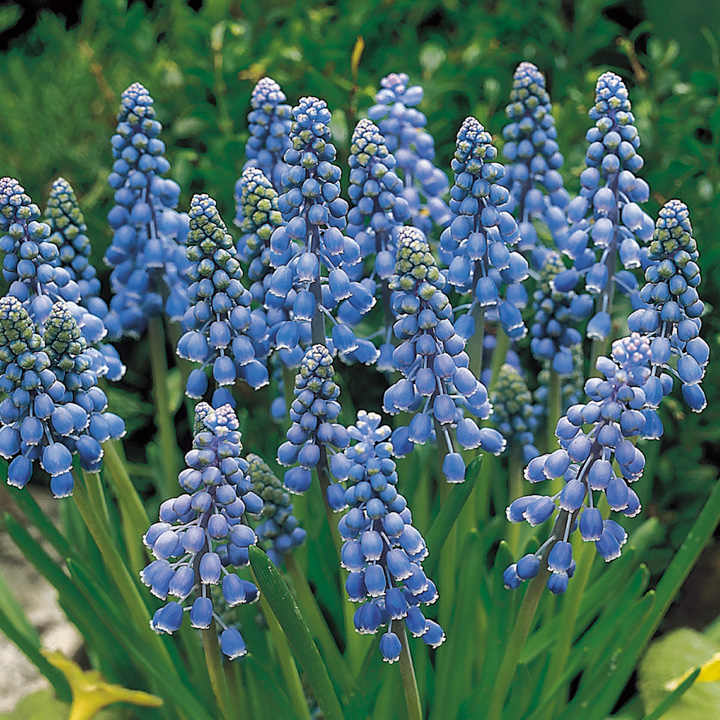 Reliable and undemanding, grape hyacinths (Muscari) look like miniature hyacinths, though they are not in fact related at all. 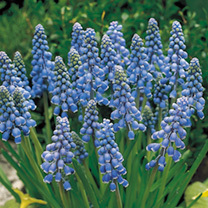 A popular choice for patio, containers, the front of borders or even naturalised in lawns. Naturalising bulbs is growing enormously in popularity, and the range of varieties that people are trying is broadening. 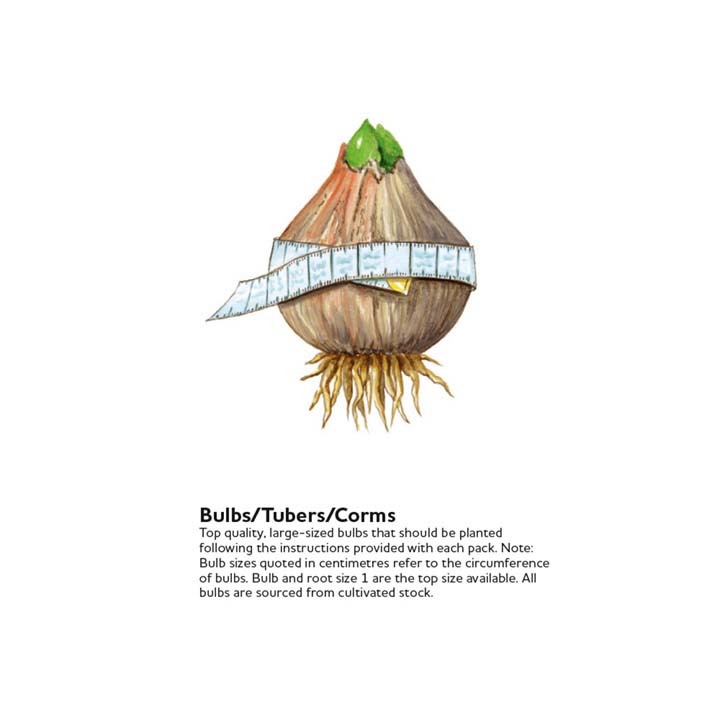 You may think of ‘naturalising’ as growing bulbs in the lawn, but it’s equally applicable to growing them in a way where you leave them to their own devises to spread and seed themselves under trees or shrubs or in a woodland setting. If you do grow them in a lawn, just remember to allow plant leaves to die down for at least 6 weeks after they finish flowering.